The following guest blog post was written by John Welby, director of the Oral Health Literacy Campaign of the Maryland Office of Oral Health. Maryland received an “A” grade in the last 50-state Pew report on children’s dental health, and we’re proud of that accomplishment. Even so, we continue to explore ways to improve oral health, and one focus is to better address the needs of vulnerable communities within our state. That’s why one of our newest initiatives focuses on Hispanic residents. Between 2000 and 2010, Maryland’s Hispanic population soared by 65%, and we expect an upward trend in the coming years. Low-income and minority children, especially those of Hispanic background, are disproportionately affected by poor oral health and have a greater number of untreated cavities. 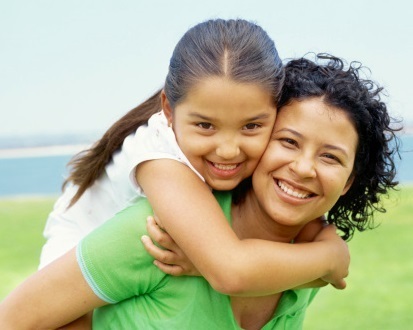 The CDC reports that 40% of Mexican-American children ages 6-8 have untreated tooth decay. Also, according to the most recent Maryland Oral Health Survey of School Children, Hispanic children are less likely to visit the dentist and more likely to lack dental insurance. In an effort to address this disparity and advance health equity, the Maryland Dental Action Coalition (MDAC) and UnitedHealthcare have come together to launch Dientes Sanos, Niños Sanos (Healthy Teeth, Healthy Kids) a social marketing campaign designed to reduce oral disease in Hispanic children by increasing healthy behaviors and improving access to care. Dientes Sanos, Niños Sanos reaches out to Hispanic women with young children and provides them with the skills needed to keep their children cavity free. The campaign has been running throughout Hispanic Heritage Month and will continue through the end of November. It includes radio and transit advertising, as well as social media, media relations and community outreach. MDAC was on the verge of launching the campaign when it decided to pursue a partnership with United Healthcare. United Healthcare immediately recognized the need for improved oral health within the Hispanic community and enthusiastically agreed. Through the partnership with United Healthcare and its investment of $25,000, MDAC and UnitedHealthcare have been able to double the impact of Dientes Sanos, Niños Sanos and reach far more women than originally expected. As an MDAC board member, I am very thankful that United Healthcare chose to partner with us. The ultimate goal of MDAC’s efforts is to ensure that every child in Maryland is cavity-free. This goal may be far away. However, I am confident that we are getting closer to it every day, especially through campaigns like Dientes Sanos, Niños Sanos, made possible by innovative partnerships like that of MDAC and UnitedHealthcare.